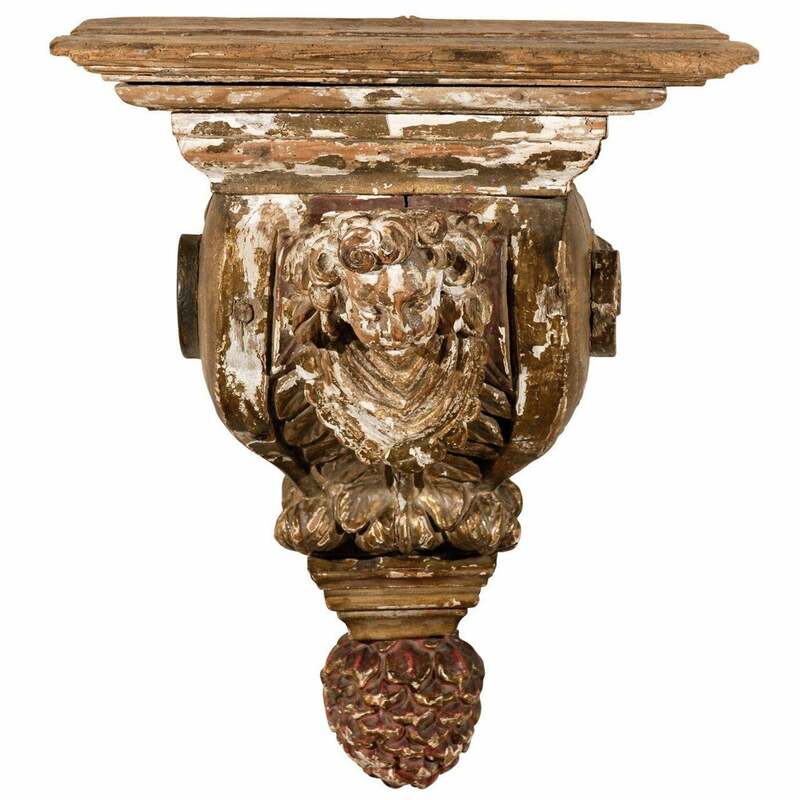 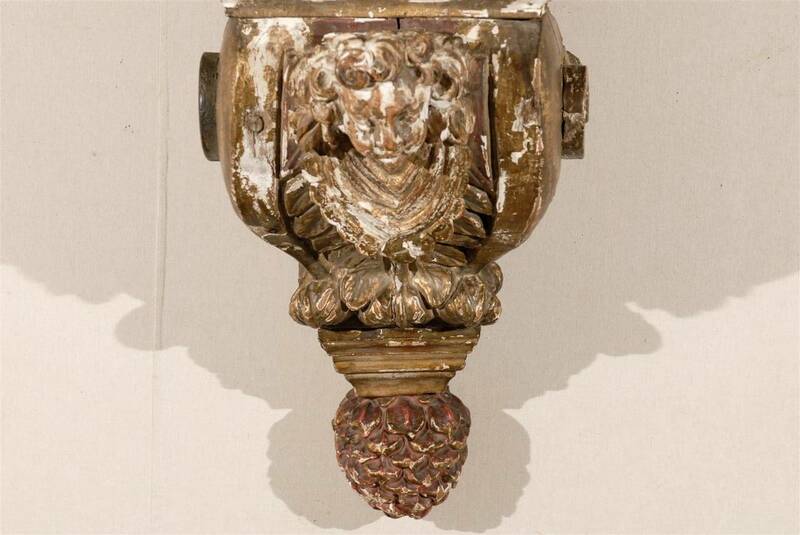 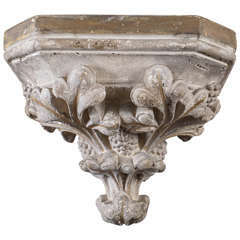 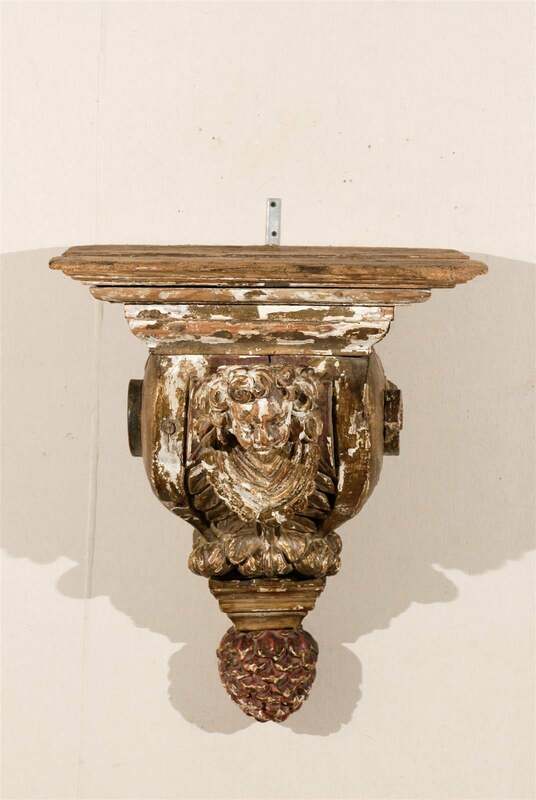 An 18th century architectural gilded and painted wood bracket with carved angel and pine cone finial. 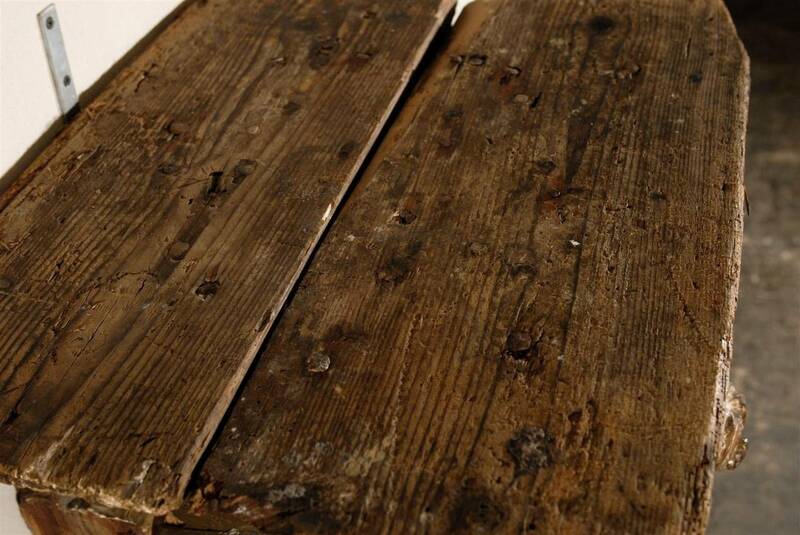 Good condition with good amount of wear and aging, perfect for the look. 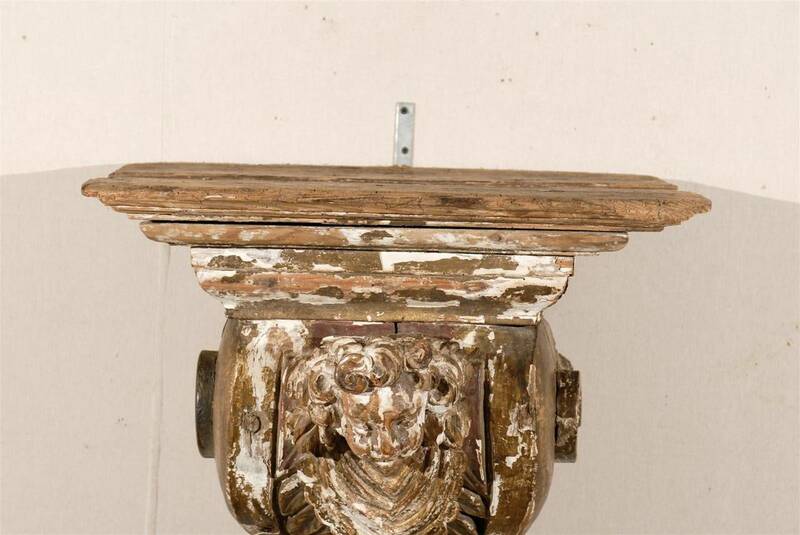 Please look at the various photos. 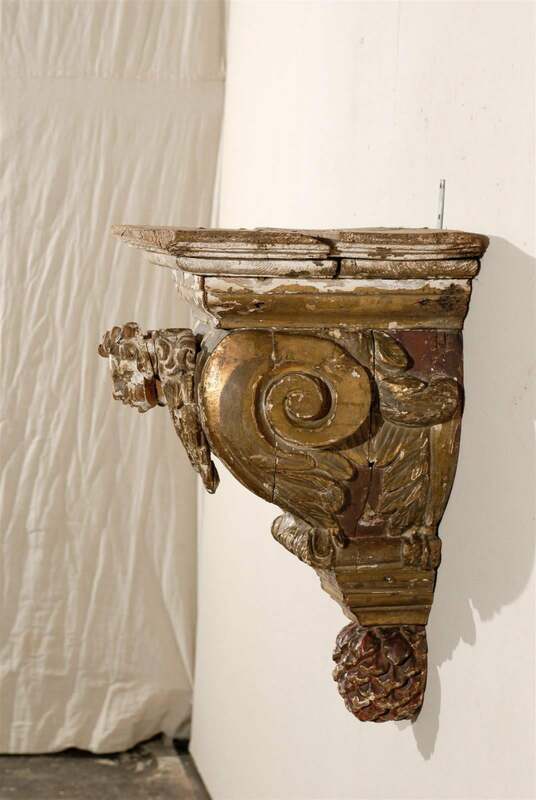 A pair of late 18th, early 19th century Italian, carved, painted and gilded wood wall brackets. 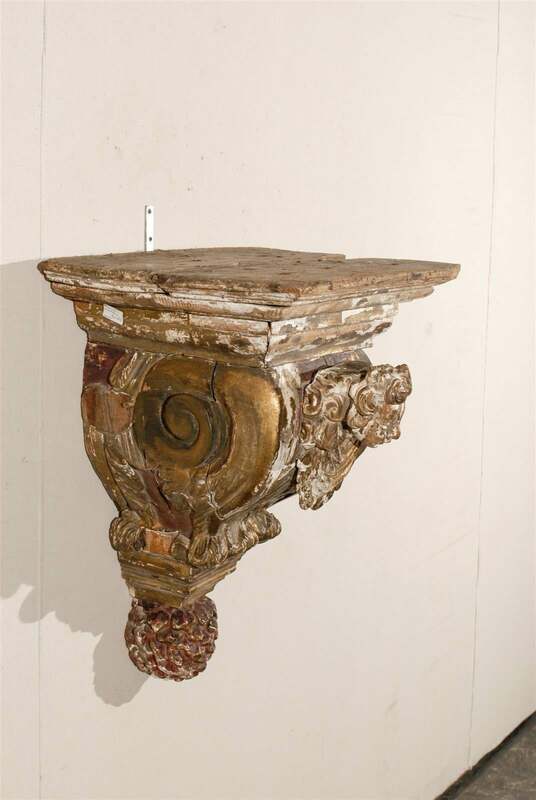 The tops are a later addition. 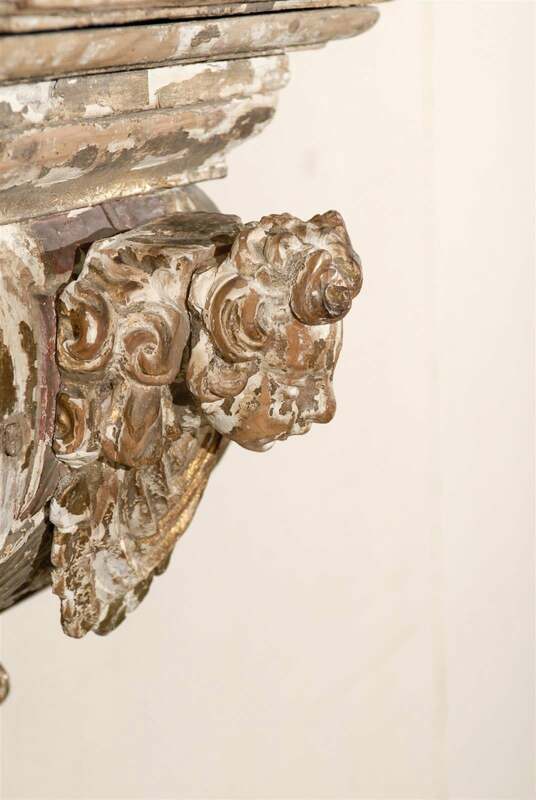 The gilding on the base mixes gold and silver color. 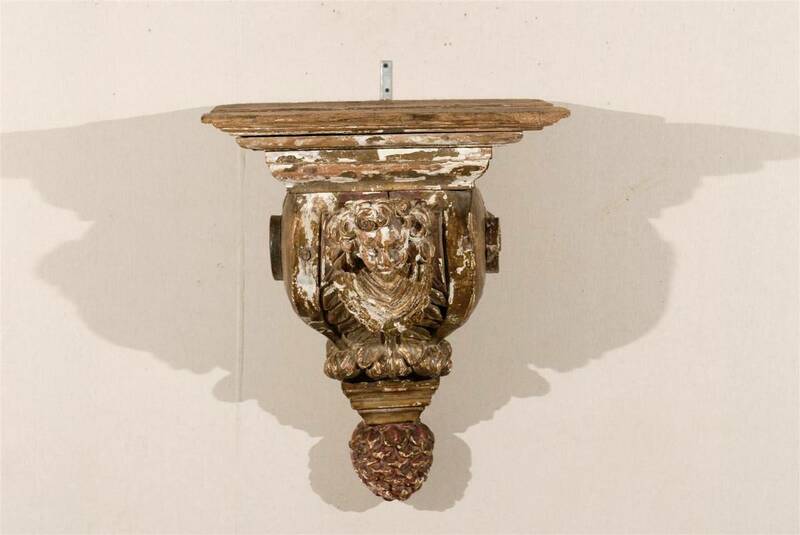 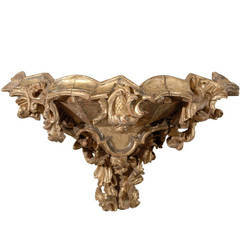 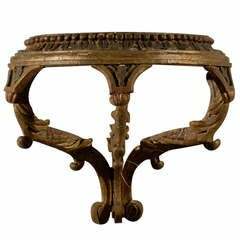 Pair of 18th century Italian Venezian Rococo pine wall brackets. 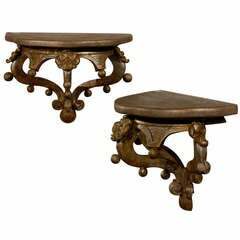 Pair of 18th-19th century hand-carved Continental brackets.